Here at Shilpa Restaurant we are constantly striving to improve our service and quality in order to give our customers the very best experience. The food at Shilpa is so tasty. Each dish with its own unique flavour. Everything is freshly prepared so when it's busy you will need to wait a bit longer. 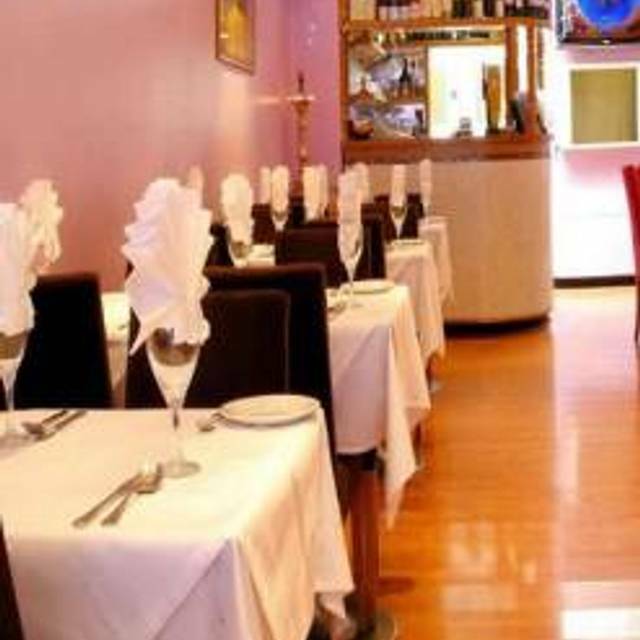 My absolute favourite Indian restaurant in West London and very reasonably priced. As usual, a fantastic meal at Shilpa! Great tasting food, great value for money. Food was great and superb value. The staff were very friendly but the service was a little slow. Would definitely recommend this restaurant! Great food, good service, very good value. What more can i say? We had dinner here before heading to the Hammersmith Appolo. We had popadams to start which came with some lovely dips. We finished the lot so could have done with a little more. For mains we ordered fish curry, lentil and pea curry and 2 naans. The naans were very large and tasty too. The fish curry was perfectly balanced with spice and heat. I really enjoyed the food and would go back again if in this area. I have been here a couple of times now for the lunchtime deal. It is amazing value for money. Food is delivious and service is great. Highly recommended. Very impressed by the Shilpa, which lived up to its reputation. Just had poppadums for a starter but even they came with four different flavour dips. For main course we had fish curry (offered as mild, medium or hot by the waiter) and fish tikka masala with rice and a garlic nan. All very tasty even though the chunks of fish were not perhaps the highest quality, but overall it was great value and the bill for food for two was under £20. We bumped up the cost with a bottle of wine, £15 for a good chardonnay was a bit on the pricy side, but overall I certainly didn't grudge the final bill. Will go back if I'm ever in Hammersmith again. Oh, and the decor is nothing like as bleak as some people make out. The food here is exceptional. I am not exaggerating when I say that this was the best Indian meal I have had yet and one restaurant in my home town is award winning. We all had a taste of each others dishes and we all said that it was the nicest chicken tikka masala we have all had. The service was so nice and though the restaurant is basic it was comfortable and warm. We felt well looked after. We had a very nice Shiraz with our meal. I really feel it was amazing value. Great! My family and I headed to Shilpa in Hammersmth when we needed a quick, satisfying lunch recently. Shilpa did not disappoint. One of us had not been before and was impressed with the array of food for the price of the set lunch. We enjoyed our lunch in Shilpa ,with attentive service.The set menu is good value, and one can choose from veg, fish, chicken and lamb options. You get a thali with several dishes, rice,roti, and a sweet for a reasonable price. We were replete at the end! This place was pretty good. Loved the chilli cauliflower and my fish curry was excellent. Kerala food is much better than the Northern Indian food. Delicious food. We were a group of 13 and 2 starters were delayed but other than that perfect. you don't get this food anywhere else. we love it. The set lunch at Shilpa in Hammersmith was OK. I found the chicken curry rather too hot, though I had asked for medium. The price has gone up by 25% ,but it is still reasonable for a filling meal. We went to Shilpa in King Street, Hammersmith and had a very nice meal. The cuisine was a bit different to the usual Indian food as it is a Keralan restaurant and we tried food that we hadn't had before - and we weren't disappointed! The staff were friendly and helpful. I would recomend you try this place. Had a nice experience, friendly staff. typical indian (kerala) style food. The food at Shilpa was all good and tasty. We had a nice meal and had no complaints at all. I wouldn't go out of my way to go back there but I would be happy to eat there again if in the area. Good food you'd be happy to eat every day. Not the mind blowing spice fest I've experienced in another Keralan restaurant, but really really nice. Felt like high quality home cooking. Very reasonably priced. Shilpa provides delicious S. Indian cooking- ideal for those bored of the usual selection of same old curries available in most UK curry houses. The masala dosa was lovely and light, Kerala fish curry well balanced and lamb curry nice had nice deep flavours. Decor is clean and fairly simple, service very pleasant, prices very cheap. We were running a little late by the time we reached Shilpa restaurant in Hammersmith but the staff still welcomed us warmly, and did their best to serve the food quickly to help us. The masala dosa was delicious (and amusingly huge!) and starters also fantastic - delicately spiced potato mixture in a light batter, with yoghurty dipping sauce. Booked a table for 8 and only 3 of us made it to Shilpa Restaurant, Hammersmith. We were all blown away by the fantastic food - a refreshing change to usual curries. Try the pancakes, bread and the kingfish. You will not be let down. We ate at Shilpa’s last night as it was recommended by a friend. Whilst the food was OK, it took over 45 minutes to get to us. Even though we were the 2nd table in the restaurant, 2 tables of men (we were 2 women) came in after us and were served before us. Indeed, one ate, got there bill and left before we got our starter! This was unacceptable and waiters seem oblivious to our frustration – there was no apology. The beer was also warm. As good as normal. Great food at a very reasonable price and naans as they should be - absolutely nothing like the thick foam ones you buy in the supermarket. Average - not great, but quite reasonable price. Shilpa in Hammersmith continues to impress - keenly priced and authentic Keralan cuisine.